Providing Wichita and the surrounding area with uniquely distinguished custom homes. Each home is built with the highest level of craftsmanship. Dedicated to providing you the best home buying or selling experience. It's more than just a house, it's a place where families make memories. We’re proud to represent the licensed REALTORS® of South Central Kansas and to advocate for you in any way we can. Resort living with a sense of community. 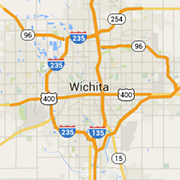 New home neighborhoods in east Wichita and Andover KS. Find new homes ready to move into, look at popular floor plans or find a custom home builder. Providing Wichita and the surrounding areas with unparalleled experience throughout the home building process. The leading advocates for affordability, within the housing, remodeling, and light construction industry. Looking to purchase a new home? Browse Wichita real estate listings, available by price, home community, square footage and more. Make finding your new house more enjoyable. Wichita's commercial real estate agents experienced in finding office space, retail locations for lease, land for development, industrial property and consulting.